By Tricia Lonergan Geocaching is an outdoor recreational activity, in which participants use a global positioning system (GPS) receiver or mobile device and other navigational techniques to hide and seek containers, called "geocaches" or "caches", anywhere in the world. Robotics: alive and well in the Far North! by Mark Holland, FNQ Sparkey loves Robotics…… and so do many local schools in Far North Queensland. 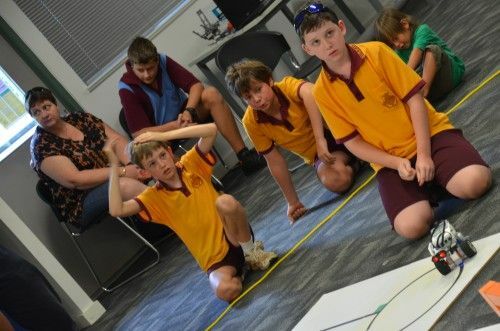 Each year, QSITE Far North Queensland Chapter organises and sponsors three different events for local students to pit their robotics skills against each other in the spirit of shared technology and friendship. These events are Sumo Robotics, the Robotics Grand Prix and the ever popular Far North version of RoboCup. 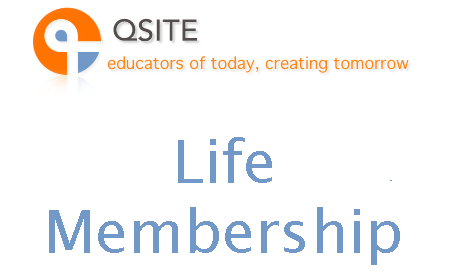 I wish to use this issue of QUICK to remind QSITE members about what constitutes Life Membership of QSITE. Definitions distort over time and history’s intent is often lost as successive Boards of QSITE reinvent policy, as they should. Life membership has not changed in its intent and value, so I feel safe in reiterating the core ideas of the award to both remind the Board and inform the membership.